The wide range of products offered by the Debrunner Koenig Group is divided into four product divisions, each with its own division manager. The product divisions are responsible for compiling and updating the product lines, for developing and implementing product line strategies, and for logistics and sales at all the company's Swiss locations. The Reinforcements Division is one of four product divisions in the Debrunner Koenig Group. The division offers reinforcement technologies and systems including reinforcing steel and mats in almost any shape and size. Fast and reliable delivery and the expert technical advice we provide make us a valued partner, with just-in-time delivery and a variety of online services. We are also competent in special applications for tunnel construction and special-purpose construction. The Steel & Metals Division is one of four product divisions in the Debrunner Koenig Group. In addition to running numerous regional sales locations, the division also provides extensive services, prefabrication capacity, and a wide range of products at the central warehouse and regional warehouses. As a competent logistics partner, Debrunner Acifer functions every day as a hub for over 15,000 steel products and as an efficient prefabrication service provider. The Metal Services Division is one of four product divisions in the Debrunner Koenig Group. 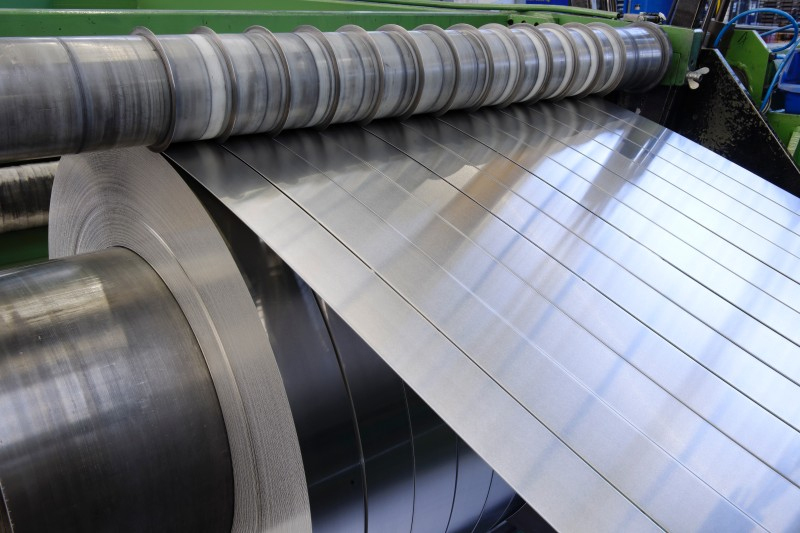 Switzerland’s leading multi-metal service centre offers companies of all sizes and from all industries complete solutions for sourcing aluminium, stainless steel, copper, brass, bronze and products as well as slit steel strips. Customers benefit from an extensive product range, a unique variety of prefabrication options, tailor-made logistics solutions and mandatory service standards. The Technical Products Division is one of four product divisions in the Debrunner Koenig Group. In addition to running numerous regional sales locations, the division also provides extensive logistics services and a broad range of products at the central warehouse and regional warehouses. As a competent B2B trading partner and logistics provider with an efficiently run e-Shop, we are the daily hub for over 150,000 technical products in the fields of water supply and building technology, civil engineering, fastener & fixing technology, tools, machinery, plant equipment and work safety. At our sales locations and Tradespersons' Centres you will receive personalised expert advice.